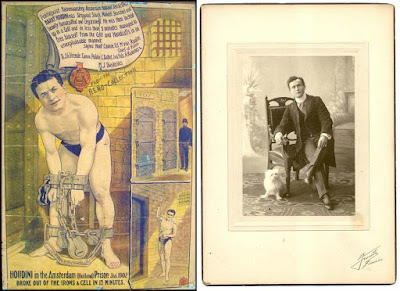 The next Haversat & Ewing Galleries magic auction is October 16-17 and will feature 28 Houdini-related lots, including a rare original 1903 Amsterdam prison break poster, a terrific original photo of Houdini with his dog Charlie, and a key collection with some jail keys from Houdini. 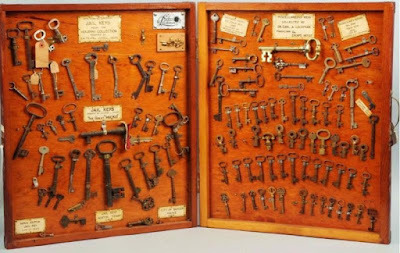 The auction is made up of "over 220 choice lots cosigned by 20 of the nation's leading collectors including items from the late Ed Hill and Walter Gydesen." To pre-order an auction catalog visit Haversat & Ewing Galleries. UPDATE: The Amsterdam prison break lithograph topped out at $16,000, but failed to meet the reserve. 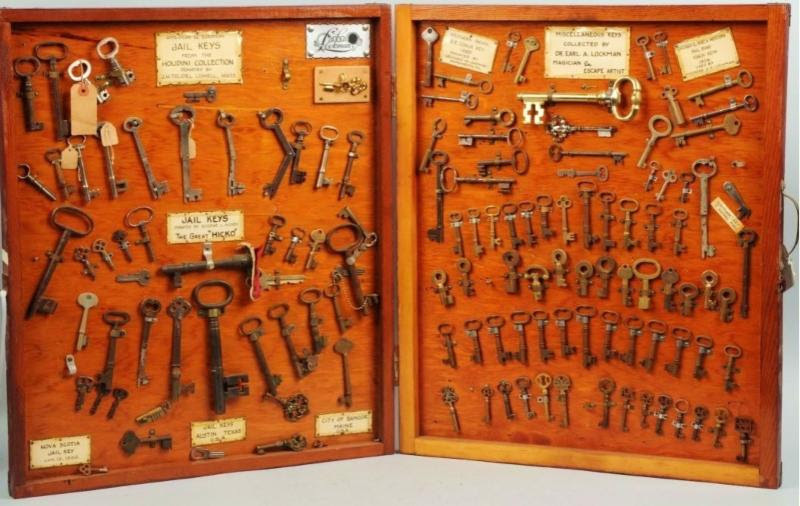 The key collection also fell below the reserve, reaching $2,625. 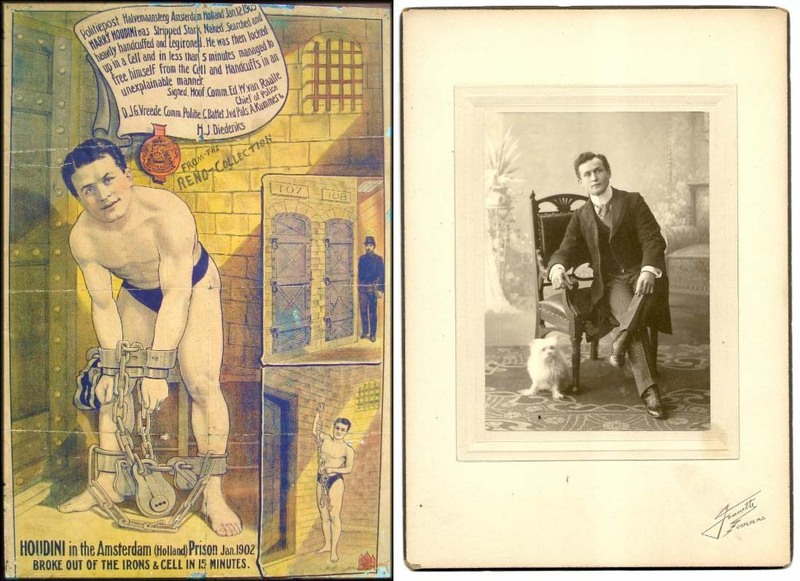 However, the photo of Houdini and his dog Charlie sold for a very respectable $5,775.